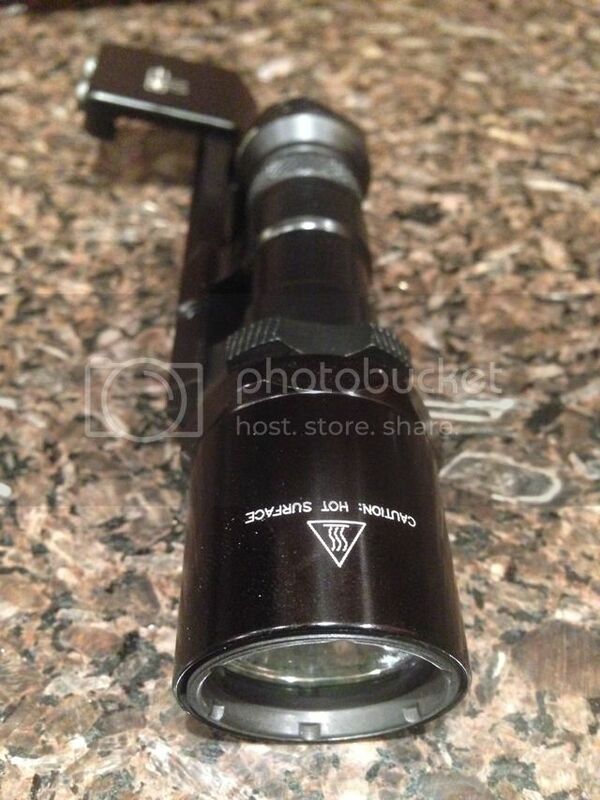 Looking to sell an extra light I have. Looking to sell as a lot right now. Here is what you get. Brass pill for best heat transfer. Smooth Reflector for best throw. Low 5%, Medium 30% and High with memory. 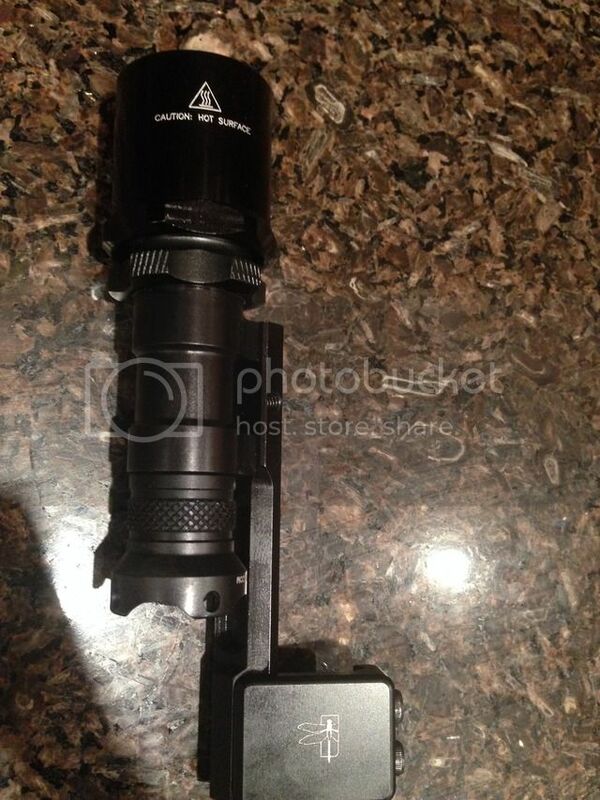 Over 1000 actual OTF Lumens on high. ***light is in 9.9 out of 10 shape. 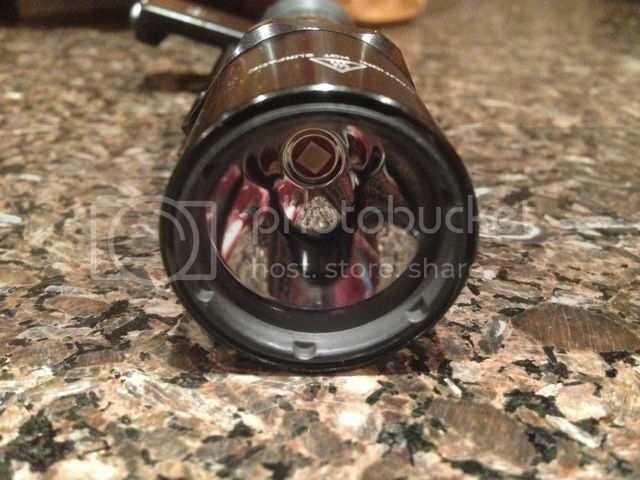 All the spots you see in the pics are dust specs that keep showing up in the pic. 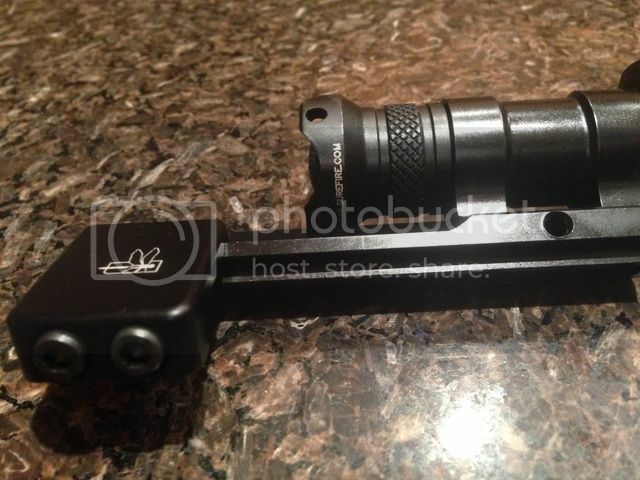 For those that are not into custom Surefire lights, basically what this does is takes the small (lighter) form factor of the M series lights and uses an adapter to use the bigger bezels of the C/P series lights so you get more lumens, farther throw and wider spill. You will not find anything smaller and lighter that is ANYWHERE near this bright. As always, if you have any questions on the light, just ask.